Washington has indicated that it has 'legitimate questions' about Israel's future foreign policy following the formation of a right-wing governing coalition whose leaders oppose a two-state solution to the Israeli-Palestinian conflict. Speaking to Sputnik, political scientist Efraim Inbar suggested that Washington has little to be concerned about. On Wednesday, US State Department spokesman Mark Toner said that the US has concerns about the new Israeli government, formed earlier in the day when Prime Minister Benjamin Netanyahu and Yisrael Beytenu leader Avigdor Lieberman reached a political deal to bring Lieberman's right-wing nationalist party into the ruling coalition. Lieberman was given the defense ministry post following Moshe Ya'alon's resignation from the job last week. 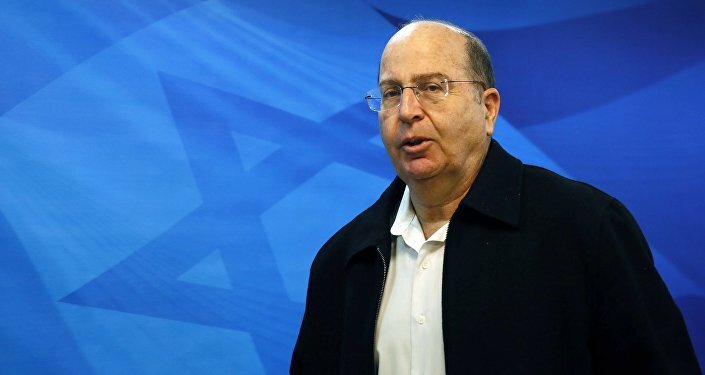 Ya'alon indicated that he decided to step down due to his "lack of trust" in Netanyahu's policies, with the two men sparring in recent weeks over the use of deadly force on neutralized Palestinian assailants. Prior to his resignation, the defense minister said that Israel had "lost" its "moral compass for basic questions." Commenting on the political shuffle, Toner said that the State Department had "seen reports from Israel describing [the new government] as the most right-wing coalition in Israel's history, and we also know that many of its ministers have said they oppose a two-state solution." "This raises legitimate questions about the direction it may be headed in…and what kind of policies it may adopt," the spokesman said. In any case, Toner noted that Washington would work with the new coalition and remain 'steadfast' in its commitment to Israeli security, but also to a two-state solution. Commenting on the US official's remarks, Begin-Sadat Center for Strategic Studies director Efraim Inbar told Radio Sputnik that the general reaction inside Israel and abroad has been 'hysterical'. "I think that some of the reaction to this [new] Israeli government has been quite hysterical," the academic noted. The critics, he said, "don't understand how Israeli national security is made; below the defense minister there is a large apparatus – probably the largest think tank in Israeli, and above it there is the prime minister, a cabinet." Commenting on fears that Lieberman's hawkish nationalism might escalate tensions, Inbar insisted that "no defense minister can send the Israeli Air Force to attack any target just at his whim. It's incredible the types of statements we hear in Israel and other parts of the world about the appointment of Mr. Lieberman." The scholar also suggested that in reality, Lieberman is "a big pragmatist, particularly on the Palestinian issue. He is himself a settler in Judea and he has said on the record that he is willing to leave his house for the sake of peace." Focusing on Toner's concerns, Inbar insisted that "the Israeli government is committed to the paradigm of the two-state solution, despite the fact that this paradigm doesn't work, but that's a different issue." Commenting on the recent deterioration in relations between Washington and Tel Aviv, the scholar said that "there are tensions between the American and Israeli government, partly because of the disastrous Iranian nuclear deal, and partly because the two leaders – Obama and Netanyahu come from entirely different ideological inclinations. Obama is a bleeding liberal while Netanyahu is a conservative. Of course their views of the world and how international relations should be conducted are very different." Asked about how Lieberman's appointment might affect Russian-Israeli relations, Inbar indicated that the new minister is a 'friend of Russia': "Of course, he's of Russian origin and he was I think very influential in improving the relations between Israel and Russia." Last week, talking about the prospects of Lieberman's appointment to the defense ministry post, political analyst Ofer Zalzberg warned that Lieberman was a hawk who does not have military experience. "In this sense, small incidents may develop into major crises quite quickly. He has never managed a military operation…he also spoke about very bold moves of reconquering Gaza in order to remove Hamas totally from Gaza. I think he shows lack of experience in such statements," Zalzberg said. Is the State Department's diluted criticism of Israel's rightward shift a prelude to a change in US foreign policy toward its close ally? If Washington's continued support for other controversial and outright dictatorial regimes around the world is any indication, the answer is probably 'no'.